If you are looking for a new Bingo platform, then this article is perfect for you. We will take a closer look at the Wink Bingo platform and the many bonuses and promotions available when you sign up with the Wink Bingo Promo Code 2019. The quality of the platform and its characteristics will also be discussed, which is important for players who are looking for a new platform. We have created a small step by step guide to help players through the sign-up process and it won’t take more than a few minutes before you are ready to make your first deposit and start playing Bingo! Let’s get started! If you do face an issue during the sign-up process, then we refer to the friendly customer service agents for additional assistance. Prepare all your information so you have it at hand when it is needed. Go to Winkbingo.com/register or go to the Wink Bingo website and click JOIN NOW. Input your first name and your last name. Pick your country of residence. Input your e-mail address. This will be linked to your new account, so be sure you have access to it. Provide your date of birth. Players are entitled to an extra treat on their birthday! Input your address details. The system will fill in the remaining information but if it does not recognize your address, then you can input it manually as well. Pick the currency you would like to play with on Wink Bingo. Provide your phone number and tick the box to indicate if it is your home phone or mobile phone number. Choose your new nickname. This is how other players will recognize you on the platform, so give it some thought before proceeding! Pick your password and make sure that it is strong enough. Write your bonus code to get a great start on the platform. Right now you can use the EASTER promo code to receive a welcome bundle when you sign up. Tick the box if you want to receive any news or promotions from the Wink Bingo. Click FINISH to end this part of the signup process. Hold on. You are almost done! Go to your e-mail and click on the link in the e-mail you just received from Wink Bingo. This action will link your new account to your e-mail. All done! You can start making your first deposit immediately and start playing Bingo within a few minutes! During Easter, new players can grab a 400% welcome bundle when they sign up for a new account on Wink Bingo. Players just need to make a minimum deposit of £10 to be eligible for the offer and receive 100 FREE bonus tickets as part of the welcome bundle by using with Wink Bingo Promo Code 2019 WINMAX. Players can receive up to £100 from this bonus, so start betting away! We recommend players to reach out to the customer service department for more information about this offer. The wagering requirements are 50x before the bonus can be paid out and be eligible for withdrawal. The terms and conditions are also listed on the website, so players can find all the information there too. As with any bonus, it always pays off to study the terms and conditions so we recommend players to visit the website and read more. Alternatively, players can also reach out to the customer service agents if they have questions, etc. Take part in the daily challenge on Wink Bingo and win many of the great prizes up for grabs! Players always have a reason to check their inbox every day as they log in. Who knows? You might end up being one of the winners! Players can win Wink Rewards and free bingo tickets, so there are plenty of nice promotions to hunt down – just remember to opt in for the challenge under your account settings. Players just need to go to their account and click to opt-in for the bonus. If players have any issues, they may refer to the friendly customer service agents for additional assistance. There is a brand new challenge each day – which is also why it is a DAILY challenge. Players have until 11.59 PM each day to complete them. Players have the opportunity to grab one of the many prizes. These include Free Spins, Bingo Tickets, Bingo Bonus and Wink Rewards! Whenever players bet £1 on the Bingo games they in return receive a1 Wink Reward which can be used in the Wink shop and be redeemed for great bonuses such as Free Spins, Combos, and many other others, just by registering with Wink Bingo Promo Code 2019 WINMAX. Players can read more about the offer on Wink Bingo or they can reach out to the customer support to get answers to all of their questions. This reward scheme is a great incentive and it rewards players for being loyal to the platform and logging in and playing regularly. Players just need to make a deposit of at least £1 and opt-in for the Reward scheme under their account. Players can make use of the most popular payment solutions when they want to make a deposit on the Wink Bingo platform. The process is very straight forward and players can make a deposit in a matter of seconds (if they are quick on the keyboard). If players do face any issues while making a deposit, then we refer to the customer service agents who will be able to offer your further assistance. A player should be aware that it takes 48 hours before a withdrawal is processed. This also gives players the option to opt out of the withdrawal within this time period if they wish to continue playing Bingo. The minimum amount required to be able to withdraw funds from your account is £10 and the same goes for the minimum deposit. Deposits made using a debit card or a credit card is available in the user account immediately and players can start playing within a few moments! We recommend players to reach out to the customer service agent to inquire about the specific fees and processing time for each of the supported payment methods. They will have the answer to all of your questions, so do not hesitate to reach out! Players can get in touch with the friendly customer service agents from 10 AM to 2 AM each day! It is always reassuring to know that help is available throughout most of the day. While most platforms tend to offer a live chat option, the response time is very fast on the Wink Bingo website, so players do not need to worry about sitting and waiting around for a response. If the matter is very urgent, then we recommend that players give the customer support a call – they are standing by so do not hesitate! We refer to the website for the specific contact information for Wink Bingo support. The Wink Bingo application is available for IOS and Android devices and can be downloaded directly from the Apple App Store or the Google Play store. The application is specifically designed to enhance the mobile experience and makes it easy to quickly get started playing one of the many Bingo games available. It is of course also very easy to both make deposits to your account and to withdraw your winnings. The application can be highly recommended and it is a sure guarantee for a great mobile experience, perfect to add a little bit of excitement to a dull bus ride or making the waiting time a bit more fun. The mobile site makes it easy for anyone to access the Wink Bingo platform and to play their favorite Bingo games regardless of where they are. Windows Phone users are referred to the mobile site as there is no application for this operating system. The Wink Bingo platform offers plenty of excitement to Bingo players and there is always a reason to log on the platform with the daily challenges! Who doesn’t love a challenge? It can also pay off in Bonuses, Free Spins, and many other great prizes. All you have to do is register and enter the Wink Bingo Promo Code WINKMAX to uncover the offers and promotions. The application makes it easy to access the Winko Bingo platform and play bingo whenever you want to have a little bit of fun and add some excitement. The application can be highly recommended and it works like a charm, whether you are playing Bingo or withdrawing your winnings! Finally, the customer service team is very responsive which a great quality for any betting site is. There is nothing worse than feeling stuck when you are in the middle of Bingo game or if you want to know more about the terms and conditions for an offer. Customer support hours are open from 10 AM to 2 AM each day! 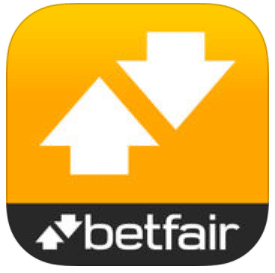 If you are looking to add a little bit of excitement besides Bingo, then Betfair is the platform for you! There are plenty of Casino and Vegas games to choose from and a huge selection of sports to bet on. With plenty of on-going bonuses and promotions to grab your piece of, there is always a reason to log in to the platform! Check out the website today and see what they currently have in store for new players. If you love betting on football besides playing Bingo, then this could very well be your new favorite platform! Ladbrokes live streams all of the matches that you can bet on and with plenty of Bingo games available as well, it should tick all of the boxes! Check the website out today and see what they offer brand new players to Ladbrokes! Bet365 – Bet whenever you want! Bet365 has one of the biggest selections of sports available to bet on and with many Casino games and Vegas games available, there is not much else anyone could ask for. As one of the only betting platforms around, they also offer 24/7 customer service – a clear selling point! 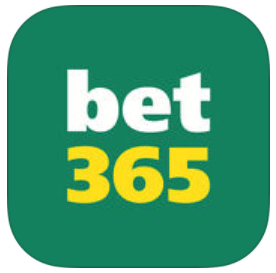 Visit Bet365 today and see what they offer new players!